Today’s post is about small business. 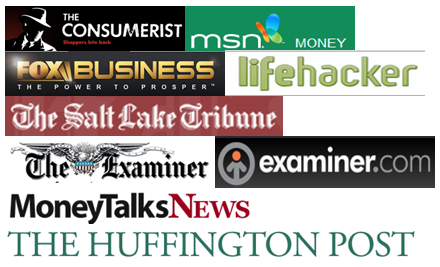 Many of our readers are business owners and I tend to publish contents geared for them. Today we will talk about the need of customization for your business. The choice between pursuing a custom-built solution over a pre-built alternative is a dilemma that is faced by decision-makers in many industries. There are advantages and disadvantages to both sides of the argument. In some cases, it may come down to the particular business or piece of equipment that is under consideration. At other times, general guidelines and financial concerns may be the factor that most influences the final outcome. Basically, when choosing between custom and pre-built equipment, you will need to make some sort of compromise. Your business objectives certainly will be a factor in which type of equipment to purchase. Depending on your industry, you may be able to get along with pre-built components even if they do not fulfill every single item on your wish list. As long as they get the job done you can live with their shortcomings. Generally speaking, a pre-built solution will be less expensive than one customized and built from scratch. This is due to the basics of mass manufacturing. Being able to use a piece of equipment off-the-shelf will always cost less up front than a custom alternative. Whether the concessions that were made in going the pre-built route will impact the long-term utility of the equipment is another matter. Custom-built equipment will usually be more expensive than the pre-built options available. This can be due to the specific features that you need to be incorporated into the design as well as the additional costs of your chosen manufacturer to modify their production process. Let’s take a look at some specific industries and see how custom versus pre-built solutions compare. The restaurant industry undoubtedly utilizes a wide variety of equipment to provide their customers with a satisfying dining experience. Items such as ovens, stoves, freezers, and furniture are just a few of the components that make up a restaurant. Pre-built equipment will often be sufficient to outfit your restaurant, but you may be faced with a situation where a custom piece is just what you need. Perhaps you are space challenged and need some stainless steel sinks or cabinets that are not a standard size. You could compromise and rearrange your kitchen, or you could go with some custom constructed units that allow you to run your operation in the way you envisioned it. The extra cost of the custom equipment may well be offset by the overall functionality that it affords you. Many restaurants are venturing into the food truck arena to bolster their brick-and-mortar presence. Food trucks are also a legitimate business on their own and are becoming more and more popular in urban areas. Here the choice may be harder to make as if you can find a custom food truck for sale you can have it outfitted for exactly the type of food you will be serving. The layout and quality of the equipment that makes up your truck will be totally up to you, which can make operating your truck much easier. As you will be spending a lot of time in the truck, these benefits may outweigh the higher initial cost of the vehicle. You can also find used food trucks for sale, and repurpose them to meet your needs to save a bit of money without sacrificing the custom feel. If the investment in a custom solution means that your restaurant will run more efficiently or allow you to provide better service to your customers then it may well be worth the extra upfront cost of the equipment. The choice between purchasing custom software and using off-the-shelf software packages can pose some difficult decisions. In the digital age, a company is often only as competent as its enterprise software. Marketing departments make extensive use of software packages such as customer relationship management systems that allow them to better understand and address the concerns and desires of their customers. The software is key to many other areas of a business and using the wrong solution can have seriously detrimental effects on a company’s ability to compete. According to forbes.com, here are some of the reasons why you should or should not use the custom-built software. Custom software can be tailored to meet all of the needs of your business. Modifications are easier to make with custom-built software. Building your own software solution allows better integration into your overall software system. The custom-built software can give you a competitive advantage. Tailoring your software to your company’s specific needs leads to increased efficiency and productivity. The custom-built software will cost more and demand time and technical resources that your business may not possess. Based on your industry, the pre-built software may be all that you need as there is no competitive advantage in your use of the software. A commercially available solution to your problem may already exist. Your company will have to determine if the potential benefits of custom software are worth the time and efforts required to create it. The needs of industrial production facilities vary widely based on the specific requirements of the equipment being manufactured. There is often no off-the-shelf alternative that has the necessary functionality to get the job done. What often results is the use of machinery that requires substantial human intervention in order to achieve the required performance. By employing custom equipment that is built to precise customer specifications, a plant or manufacturing facility can reduce human error, increase production and efficiency, and compete more successfully in their market. The additional cost of purchasing custom machinery can simply be seen as a justified business expense. The question of pre-built versus custom solutions is not going to disappear anytime soon. As you can see, there are instances where each type of solution can work for your business. Each case needs to be carefully reviewed to determine if you can make do with pre-built equipment or if you need to have some or all of your business resources custom-built. 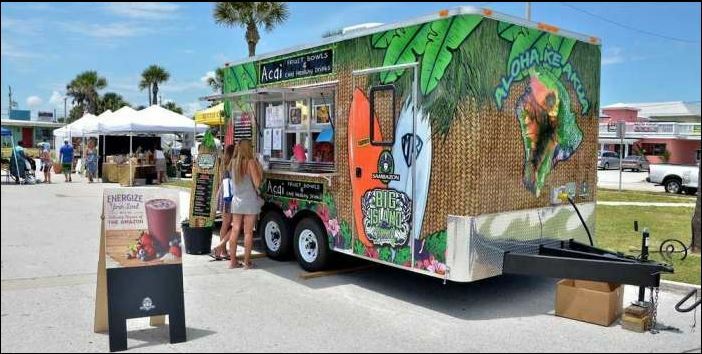 Is the picture of the food truck in Saint Augustine Beach, Florida? It looks just like the Farmer’s Market there.